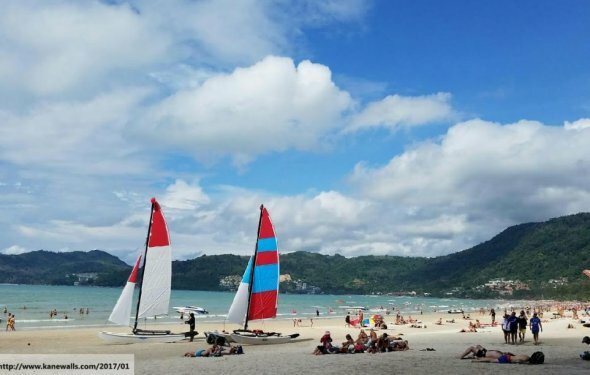 Patong beach highlights a gorgeous stretch of white sand that meets turquoise water. Stroll down the beach with the better half whilst feeling a breath of fresh air. Don’t go over the weekend to avoid the masses. In order to be more romantic, give him or her a bunch of red roses and say “I love you” during your beach getaway. 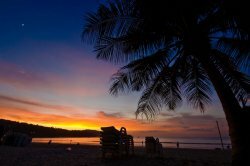 Honeymooning in Phuket without sunset seems tasteless. There are a number of cool spots to enjoy the sun dipping over Andaman Ocean you can opt for. If you think to have fine French dining at a rooftop restaurant with an exotic sunset view, Le Versace is the best pick. Another fun way is by soaking in a seaside pool and sipping a bottle of Thai beer. If either French or Italian cuisine doesn’t seem special, try a Thai dish for your astonishing romantic dinner. To experience the local authenticity, shunning touristy eateries in the city center is surely great. Go to a restaurant where the locals flock in. You will find the green curry chicken, pad tai, and salted egg yolk squid much cheaper and delectable. 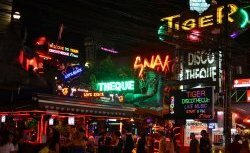 Patong is where all the excitement is for party-goers, as it has been mentioned. Drag your dear in the lively beach night life, dance, and get on the booze. The party scene is centered around Soi Bangla, as well as Rat U Thit Road. If you’re a gay couple, make sure to hit the Paradise Complex where you can watch a little performance by lady boys. Forget the frenzied Patong and find your own adventure trail with a romantic cruise. The local tour operator offers you a trip package including Thi Chin Canal discovery, fun water activities in Lon and Maphrao Islands, experiencing the local culture in the Sea Gypsy village, and a BBQ party. The sea journey gives you more opportunity to learn about southern life better. After the tiring couple adventures exploring the boundless beauty of Patong, enjoying a Thai massage together is truly something relieving and relaxing. Orientala Spa offers both Thai aromatherapy massage and soothing reflexology for feett. Other facilities include hotel pick-up and drop-off, and complimentary refreshments. Enjoying lady boy performances is a must-do thing in Patong. Among a number of attractive shows to see around, Simon Cabaret shines in every aspect – the performers, spectacular costumes, dance, background song, and comedy acts are breathtaking. The family-friendly show always magnetizes the visitors for a unforgettably unique night out. Paradise beach is such a perfect getaway for silence seekers. It’s super captivating, one of the most stunningly gorgeous beaches in the island. Regardless of climate and weather, both of you can enjoy swimming and playing with water safely. The 150-meter-long (492 feet) stretch of white sand is home to scenery you shouldn’t miss. Sometimes honeymooning in Phuket doesn’t always mean romantic ambiance or something impressive. Shake things up by watching the Muay Thai (Thai boxing show). The famed martial art is performed in two stadiums, the Patong and Bangla boxing stadium. It is truly thrilling when your betting time begins and ends with your champion winning. If you are a couple who is addicted to outdoor activities, discovering Kathu Waterfall is the right spot to enjoy. The white stream cascading down the limestone really is captivating – not to mention the lush surroundings within tropical exposure. Visit in June to November to avoid the monsoon. 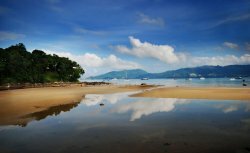 Missing Patong for your honeymoon adventure is a huge mistake. 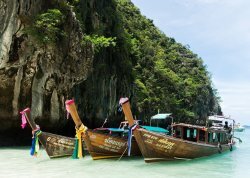 It features a wide array of number one attractions through all of Thailand, from catching the golden sunsets from a rooftop restaurant to the mesmerizing transgender shows. Patong is awaiting couples! If you are interested in having the newest games on your computer for free.